Colorado offers outstanding employment opportunities for the Certified Nurse Aide (CNA). The CNA performs critical patient care tasks that supplement the care provided by Registered Nurses and other healthcare professionals. Certified Nurse Aides play an important role in ensuring patients are given the regular attention needed to maintain the highest quality of life possible. Becoming a CNA in Colorado enables the professional to assist people with healthcare needs and often inspires the pursuit of a nursing degree. The Colorado Certified Nursing Aide is also called a Certified Nursing Assistant when employers post available positions. The Colorado Board of Nursing (Board) is responsible for approving CNA training programs, approving applicant requests for certification and maintaining the CNA registry. As of 2017, there are 112 state-approved CNA classes in Colorado offered in high schools, community colleges, technical colleges, health institutes, healthcare facilities and other institutions. Some students are employed in Medicare or Medicaid funded skilled nursing facilities or nursing homes and complete their training while working in the facility. Use the following table to find a training program near you. The school list is updated in April, 2017. Colorado Springs Independent Nursing & Therapy Services of Colorado, Inc.
Westminster Independent Agape Angelicum School of Nursing Arts, Inc.
Westminster Independent Ann Rose School of Nursing Arts, Inc.
Colorado does not have a stated minimum age for enrolling in a CNA training program, so there are many training programs offered at high schools. These programs can take up to nine months to complete because they are designed to fit the school year. At a facility like the Colorado Mountain College, the CNA program takes one semester to complete four credit hours of coursework and one credit clinical including 90 classroom hours and 16 clinical hours. The Certified Nursing Assistant Program offered by the St. Thomas More Hospital is five-weeks long. In other words, there is a big variety of programs of various lengths. The program costs will vary. For example, at St. Thomas More Hospital, students pay $890 for the application fee, tuition, textbooks, workbooks, lab fees and supplies. At Colorado Mountain College, the in-district program costs are $248 for in-district course tuition, $62 for in-district clinical fees, $100 program fee, and $75 for books for a total of $485. All students must pay for supplies, exam fees and uniforms, no matter where they attend. When evaluating costs for different programs, be sure to include all costs for comparison purposes. Students who work in a federally funded nursing home or skilled nursing facility can get free training because the employer will pay the training costs. The usual requirement is that the CNA will continue to work for the facility for a designated period of time. Federal law also says that a CNA who finds employment in that kind of facility within 12 months of passing the certification exam can request reimbursement for tuition and fees. The other way to get free training is through facility scholarships or other types of financial aid. It is always important to check with the financial aid office or to ask the employer about options for paying for tuition and fees. Many schools require having Major Medical Insurance coverage for the duration of the nurse aide program. The CNA classes in Colorado educate students on the specific skills they will use while employed and the knowledge needed to do a high quality job. The program consists of a minimum of 80 hours of training consisting of classroom instruction, laboratory time and clinical training. The curriculum content of a state-approved CNA program in Colorado must cover the following areas as a minimum. A CNA student can also complete required training to become a Medication Aide (MAA) or a Home Health Aide (HHA). At some schools the training program leads to CNA and MAA and/or HHA certification. Written (or Oral) Examination: The written exam requires answering 70 multiple choice questions. The questions cover the material taught during the Certified Nurse Aide training program. Exam candidates can also take the oral exam. Skills Evaluation: The skills section of the exam requires demonstrating five skills learned during lab and clinical training. There are 22 skills the student masters during CNA training, and the five skills selected can be any of the 22 skills. Each exam examinee is required to perform the Hand Washing skill and a measurement skill. The CNA candidate must pass both parts of the exam in order to qualify for placement in the CNA registry. There are sample questions available on the Person VUE website. If you want to sit for the CNA state exam to become a Certified Nurse Aide in Colorado, you need to be one of the following candidates. The first and most common path is completing the state-approved CNA training program and passing the NNAAP exam within two years or 24 months after applying to take the exam through Pearson VUE. If nursing students in any of these types of programs has taken and passed at least five semester credits of nursing fundamentals, he or she can apply to take the certification exam. The credits must be earned in either a Registered Nurse, Practical Nursing or Psychiatric Technician program. RNs, LPNs and LPTs who have an expired license in any state can take the exam to earn nurse aide certification in Colorado. The applicant must provide a copy of a transcript or the expired license with the exam application. The nurse can provide proof he or she completed at least five semester credits of nursing fundamentals in a Registered Nurse, Practical Nursing or Psychiatric Technician program. Anyone who completed a nurse aide training program in another state, but was never certified, can provide proof of program completion and take the Colorado exam for certification. The RN, LPN or LPT exam applicant with an active disciplinary action must complete a screening application which requires an explanation. The Nurse Aide Advisory Committee will review the explanation and determine if the person is eligible to take the exam. If a CNA’s certificate is revoked or surrendered for any reason, the person must repeat a state-approved training program, retake and pass the competency exam, and reapply for Board certification. Revocation requires a one-year waiting period before the CNA exam can be retaken. Surrendering a certification has a two-year waiting period. The Nurse Aide Advisory Committee makes the final decision. CNA who takes the exam for reinstatement but has not worked at least eight hours in the last two years as a nurse aide should get approval to take the exam requires by providing a copy of the last nurse aide certificate or proof a state-approved training program was completed. The certification exam is offered at two types of testing facilities: In Facility Test Site (INF) and Regional Test Site (RTS). Pearson VUE provides maintains a current listing of exam locations on its website. Applicants can choose the most convenient testing location. The applicant must pass both parts of the exam within three tries. If unable to pass both parts within three tries, the applicant will have to complete a state-approved training program again. Note that Colorado refers to the certification document as a ‘license.’ It is not technically a license like the RN or LPN is required to maintain. However, the CNA certification document serves a similar purpose as a professional license. Once a new nurse aide passes both parts of the exam, Pearson VUE will send the person’s name to the State Board of Nursing. The Board will verify the applicant has met all the certification requirements for training and achieved minimum exam scores. If everything is in order, the nurse aide’s name is added to the Colorado Nurse Aide Registry. Once added, obtaining proof of certification requires logging in to the website and printing out the document. 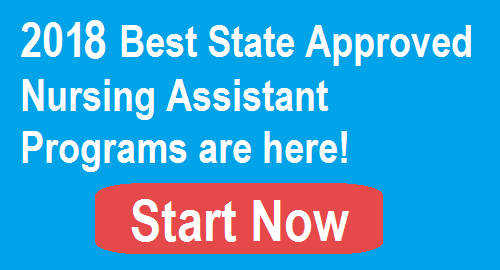 Out of State CNAs can apply for Colorado certification by endorsement. The nurse aide with active certification in another state is allowed to work for up to four months in Colorado before getting certified in Colorado by endorsement. The employer must get verification the certification is active. The Colorado certification must be approved within the four months. The applicant must pass a screening review covering criminal history and pending complaints. The CNA certification in Colorado expires on January 31 of odd-numbered years. There is what the state calls a ‘License Expiration Bump Period’ which is the 120 days before a license expiration date. If someone is certified during the 120 days before January 31 of odd-numbered years, the license expiration date will be the next expiration date. Otherwise, the nurse aide will renew CNA certification per the regular state schedule. Keeping the certification active requires working at least 8 hours as a CNA in the 24 months prior to the renewal date and maintaining a record free of complaints and felony convictions. If the applicant has not worked as a CNA in the prior two years, the nurse aide must have passed the Board’s Competency evaluation (CNA state exam) within the past 24 months to renew the certificate. If the applicant has not worked and not passed the Board’s Competency evaluation in the designated timeframe, the nurse aide will have to retake the exam. All renewal requests are made online. A CNA who has an expired certification, but worked at least eight hours as a CNA in the prior 24 months, can apply for reinstatement.